On a recent visit to the Nelson-Atkins Museum of Art, I saw these creative paper ornaments in the Museum Store. Reminiscent of the crafts we learned in second grade (or third, or fourth, I don’t really remember) these cutouts bring cut paper to a whole new level of artistry. With light shining through them they also appear to be distant relatives of the luminaries we passed as we drove up to the gallery. You can try to make these with your little ones or, perhaps, you can visit the museum and bring them home to display in your windows through the holiday season. 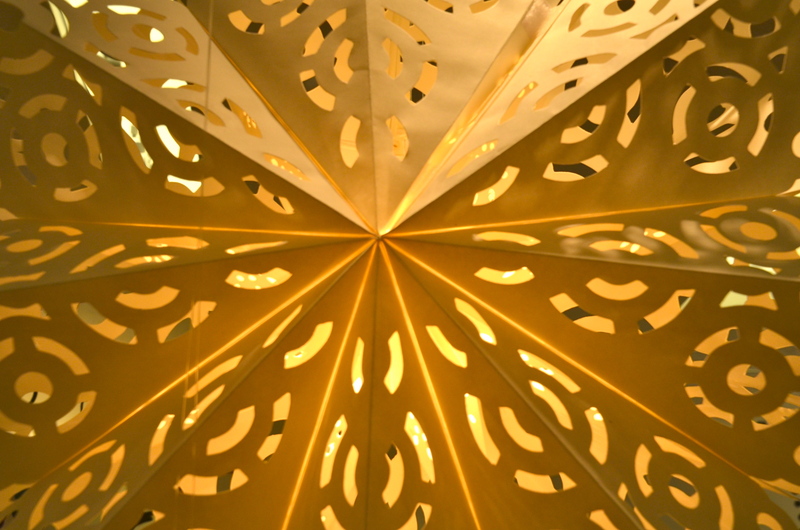 This entry was posted in Photography and tagged Cut Paper, Luminaries, Museum Store, Nelson-Atkins Museum of Art, Ornamental Paper, Paper Art. Bookmark the permalink. Didn’t we call them snowflakes? Lovely.